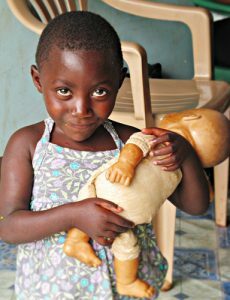 In Fall 2010, Samaritan realized its global mission of caring for our world by partnering with our sister hospice, Kawempe Home Care (KHC), a community-based organization in Kampala, Uganda. KHC provides holistic care, preventative counseling and supportive services for people living with HIV/AIDS, tuberculosis, cancer, and other life-limiting illnesses. KHC is in the Kawempe divison of the Kampala District and Nangabo Sub-Country in Wakiso District of Uganda and includes four large, urban slums of about 350,000 people and a poor rural community of approximately 150,000 people. • Clinical Education through Technology Samaritan’s multi-disciplinary committee of doctors, nurses, social workers, chaplains, administrators, and volunteers communicates regularlywith KHC’s staff via Skype webcam visits, online workshops, and email. • Resources for Medicines, Supplies and Equipment Through a variety of fundraisers, Samaritan is helping KHC meet its community’s need for palliative medicines, supplies, field transportation, and education. • Community Outreach Through educational outreach efforts to New Jersey community groups, schools, and places of worship, Samaritan hopes to raise awareness of KHC’s needs and the importance of global access to the comfort of hospice and palliative care. • Beads for Education One of the major effects of the HIV/AIDS epidemic is the chronic ill health or death of breadwinners who often cannot pay the school fees necessary for their children to attend school. Beads for Education supports families and children by helping to pay for school fees, materials such as pens, books, uniforms, and school meals. The beads are made out of recycled paper. So far, Samaritan has sold more than $40,000 of these beautiful, unique pieces of jewelry. • Connecting in Person In 2013 and 2017, group of Samaritan staff and volunteers traveled to KHC on a mission of education, support,and friendship. The poverty and illness was heart-breaking but the hope and love was inspiring and life-changing. KHC’s Executive Director visited Samaritan in March 2014 and KHC’s Program Manager and Medical Services Manager visited in June 2014. One of the major effects of the HIV/AIDS epidemic is the chronic ill health of breadwinners who often cannot pay school fees for their children. Beads for Education supports families and children by helping to pay for school fees, materials such as pens, books, uniforms and school meals. KHC trains its clients to make beads and then purchases the handmade beads to sell to international ambassadors such as Samaritan. 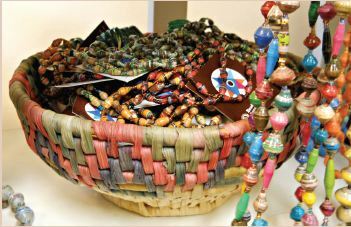 The beads, made of colorful recycled paper that is skillfully cut into shapes,tightly rolled, strung and finished with environmentally friendly varnish. Samaritan’s sale of these beautiful and meaningful works of art have helped KHC send many children back to school with the promise of a better life. 100% of the proceeds benefit Kawempe Home Care children. 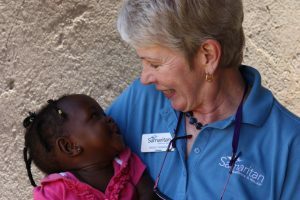 Of the estimated 6,100* hospice programs, Samaritan is proud to be one of only 80 −and the only one in New Jersey − to partner with a sister hospice in Africa. To sponsor a child, please download, print and fill out the form. Your donation is used for: A school uniform, basic school supplies, and at least one hot meal a day, regular follow-up support visits both at home and school, special support for grandmothers who care fore their grandchildren, and Saturday clubs for children to enhance their self esteem through discussions/games. For more information about how you can get involved, contact Joanne Rosen at 856-552-3254.